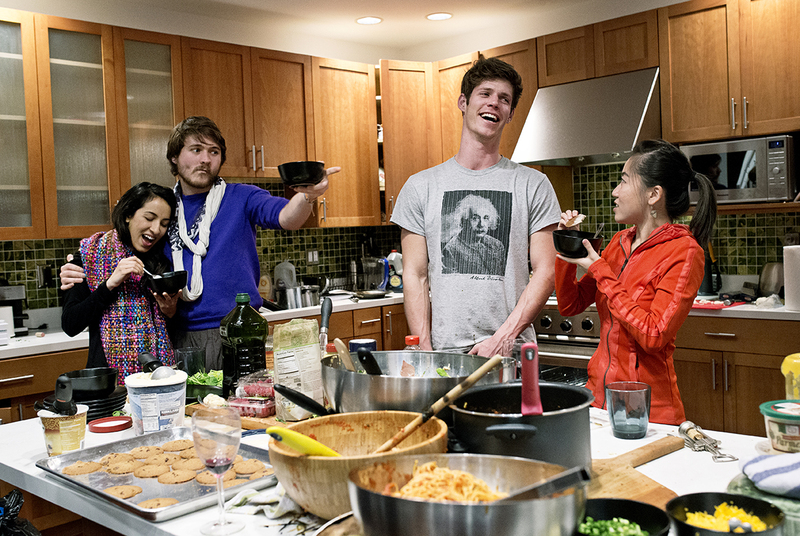 Noor Siddiqui, Conor White-Sullivan, Dylan Enright and Karen X Cheng (left to right) eat dessert during a dinner party hosted by the company WeFunder at their office in San Francisco, Calif., on Wednesday, February 4, 2015. WeFunder is a crowdfunding service that connects start-ups and investors through the internet. The company and it’s founders throw large dinner parties almost every Wednesday for friends and guests from the industry at their office, which also serves as the home of several company employees.